Odem – Blanca Garcia passed away September 9, 2018. She was 81. Blanca was born in Mexico on October 4, 1936 to Juan and Gertrude (Dominguez) Molina. She was a resident of Odem since 1957 and lived her early years in Laredo. 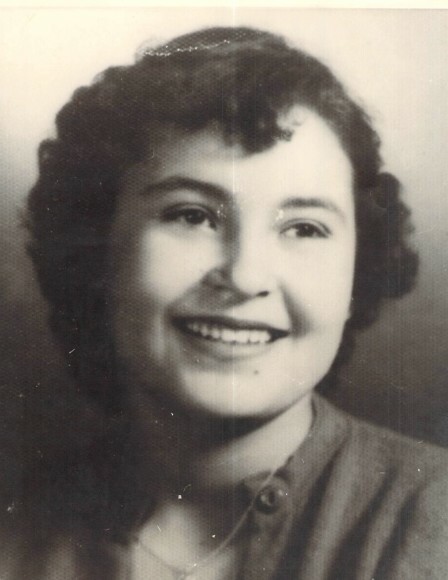 Preceding in death are her parents: Juan and Gertrude Molina; sister: Rosa Elia Flores and her husband Jacob Flores; brothers: Raul Molina and Rogelio Molina; sons-in-law: Hector Sanchez and Juan Torres, Jr.; sisters-in-law: Elma Molina and Dolores Molina. Survivors include her husband: Benito P. Garcia of Odem, Texas; sons: Eulogio “Eli” Garcia of Sinton, Texas; Benito “Benny” Garcia (Elizabeth) of Odem, Texas; Pete Garcia (Esther) of Corpus Christi, Texas; and David Molina (Kelsey) of Mathis, Texas; daughters: Ninfa Pizana (John) of San Antonio, Texas; Vangie Sanchez of San Antonio, Texas and Nina Torres of Victoria Texas; 24 grandchildren; 9 great-grandchildren; brothers: Manuel Molina (Elia); Beto Molina; Alejandro “Ale” Molina, all of Laredo, Texas and Antonio “Tonio” Molina (Leticia) of Dallas, Texas; Homero Molina of Laredo, Texas and Hector Carrizales of Corpus Christi, Texas; sister: Isabel Benavides of Laredo, Texas and sisters-in-law: Rita Molina and Magdelena Molina, both of Laredo, Texas. Visitation will begin Thursday, September 13, 2018, 3:00 PM at Resthaven Funeral Home, Sinton. A rosary will be held the same evening, 7:00 PM, at the funeral home. The Funeral Mass will be celebrated Friday, September 14, 2018, 10:00 AM, at Sacred Heart Church, Odem with Father Isaias Estepa as celebrant. Burial will follow in San Pedro Cemetery, Odem.